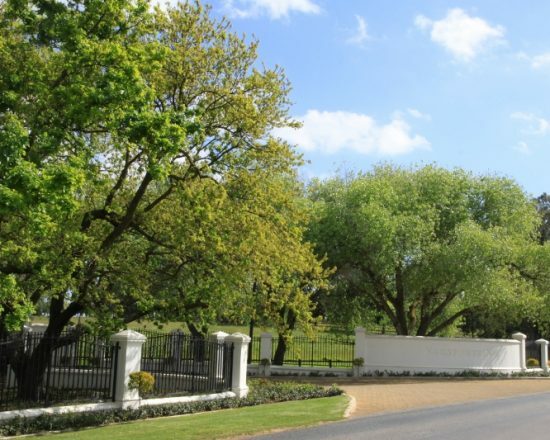 Varsfontein Stud is owned by the Kalmanson family and has been since 1974. Originally a wine farm it is now exclusively a Thoroughbred breeding operation with a total of 115ha of horse paddocks under irrigation. It is a commercial farm with the majority of yearlings being sold annually; however, the farm does keep a few fillies each year to race in the red andwhite silks. Along with these, more fillies with top class pedigrees are also purchased to improve the blood of the broodmare band. Varsfontein is home to three stallions. Caesour (USA), who is now in his twilight years, has enjoyed a successful career at stud with the esteemed reputation of being the top sire of SA-breds performing internationally. These include Irridescence, Perfect Promise, Dane Julia and Alexandra Rose. Judpot (USA) has now three seasons behind him and his first yearlings were sold in 2012. He covered quality books of over 100 mares in each season which leaves a lot to look forward to over the next few years on the race track. Gimmethegreenlight (AUS), the rookie of the three, will enter his first year at stud in 2012. His popularity has been unprecedented and shares were snapped up like hot cakes. Still a young horse, he has a long career ahead of him which Varsfontein and shareholders alike hope will be a successful one. The bloodlines boast a strong variety of families including the progeny of the very influential Secret Pact, sister to London News. PROMISEFROMMYHEART, COVENANT and JUSTTHEWAYYOUARE are just some of her daughters and granddaughters that reside on the farm. The Young Polly family are also strongly represented, from which came RUBIROSA, YOUNG RAKE and MASTER PLAN. Some of the other mares residing on Varsfontein include DUCHESS DABA, ARCOLA, Roman Circus (Dam of Gr1 winner ROYAL BENCHER), Star Deputy (dam of Gr1 winner WAR HORSE), Star Of Arcole (dam of 2 Oaks winners PRINCESS OF LIGHT and ARCOLA)and NIGHT DIVA (dam of Gr2 winner WINTER’S NIGHT). Beyond those mentioned is still a great depth of well performed pedigrees. Varsfontein is also home to mares of long-standing valued clients. Many visitors to the farm marvel at the beauty of the surroundings. From the beautiful cottonwood lined driveway to the old cape buildings nestled below old oak trees to the panoramic views of Table Mountain and the Perdeberg, Varsfontein remains a feast for the eyes.